First settled in 1630 as Piscataqua, the settlement was soon named Strawbery Banke. The name Portsmouth was adopted in 1653 to honor the colony’s founder, John Mason, Captain of the Port in Portsmouth, England. 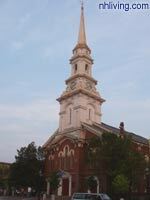 Portsmouth became the New Hampshire province’s capitol in 1679. It was home to many famous colonials, such as William Whipple, signer of the Declaration of Independence; Governor John Langdon, first US Senate president; and John Paul Jones, naval hero. 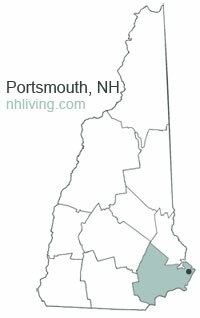 Portsmouth was incorporated as a city in 1849. The original Strawberry Banke settlement has been preserved as an example of a colonial American town. To share any Portsmouth, NH information with us, please contact us. Learn more about advertising in NHLiving.